Thanks to Get Americas, trade the glitz and glamour of Las Vegas for the glories of wide-open desert spaces and sparkling, star-filled skies that put the bright lights of The Strip to shame. 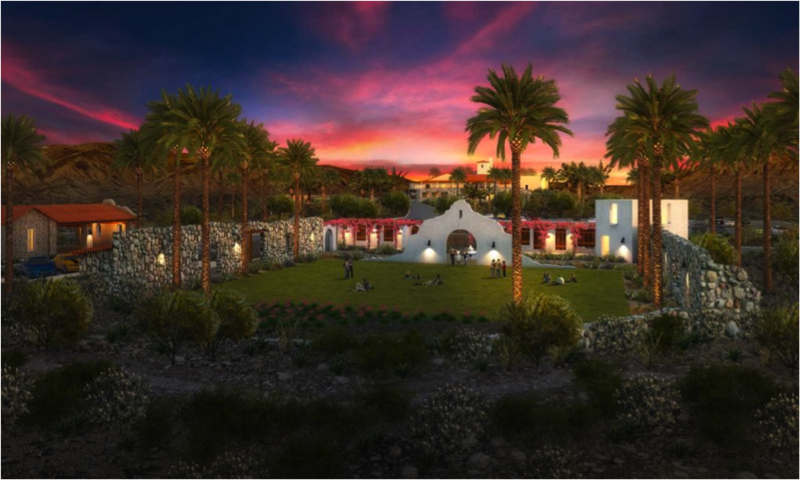 Go to The Oasis at Death Valley and discover Mission Gardens, our brand new event space that is the perfect destination for incentives. Open to the desert skies and surrounding mountains, the gardens are enclosed by Spanish-style, white-washed adobe walls that feature decorative details crafted from Mojave Desert stones. Blooming bougainvillea growing along trellises add a splash of brilliant color, while a seasonal creek and towering palm trees rustling with the breeze are reminders that The Oasis at Death Valley is, in fact, a genuine oasis.